This is a very exciting time to be an American. I feel a bit as if the sun is coming out again after a long, dark storm. With baseball-size hail. And lengthy power outages. I wanted to share a story I came across recently. It illustrates one of the reasons I love Barack Obama. 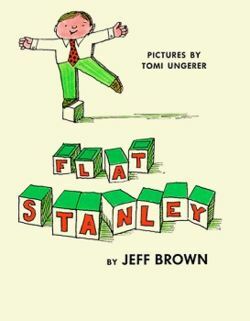 A class of second-graders in Connecticut had a Flat Stanley Writing Project. For those of you who havenâ€™t met Flat Stanley, heâ€™s squashed flat by a falling bulletin board. Youâ€™d think this would be a disadvantage, but itâ€™s not. For instance, his parents can put him in a large envelope and mail him for a visit to his friends in California. 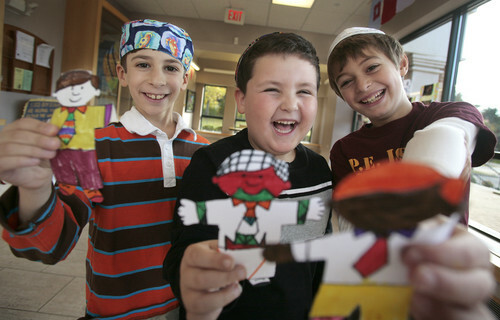 For the project, these Connecticut students made paper Flat Stanleys and began a journal with him for a few days. Then Flat Stanley and the journal were sent to someone famous to continue his journey, with the request that they add a bit to the journal, then send everything back to the original sender. Students plot his travels on maps and share the contents of the journal. Letters were sent to Yankee third basemen Alex Rodriguez, Nancy Pelosi, Mark Spitz and John McCain. Did they write back? Nope, not a word. Three boys wrote letters to Barack Obama who was the only person to respond. Obama’s three-page letter to Aron described Flat Stanley’s visit with him and his staff in Washington, D.C. It chronicled their busy day together, which included coffee with constituents, a Senate committee meeting and a trip to the gym. It also had historical facts about the U.S. Capitol, details of Obama’s job and a confession from Obama. Are you proud thatâ€™s the kind of guy we have as President? This entry was posted in Stuff Worth Pondering, Writing, Reading and Publishing and tagged Alex Rodriguez, Barack Obama, Becky Clark, Flat Stanley, Flat Stanley Project, inauguration, John McCain, Mark Spitz, Nancy Pelosi, why I love Barack Obama on January 20, 2009 by Becky. 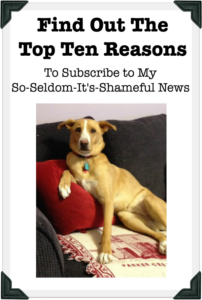 I’d read that story, right around the election, and it’s so awesome. Even if it was his staff, and not President(!) Obama himself who responded, it says a lot about the people he has advising him that they would do this. I’m so proud of my country, and of my president, and that I worked on his campaign, and that we have a leader who’s a writer at heart, who knows what to do with words. It’s not an end, it’s a beginning, and I’m ready to get to work. You two may be right about some staffer writing Obama’s Flat Stanley letter, but I’m going to keep believing that he wrote it himself. It’s not out of the realm of possibility, after all. I can absolutely see him involving his own children in the process, or even them forcing him to play along. Anyone with young children must have a sense of whimsy hovering around him, and the Flat Stanley project just begs for attention.